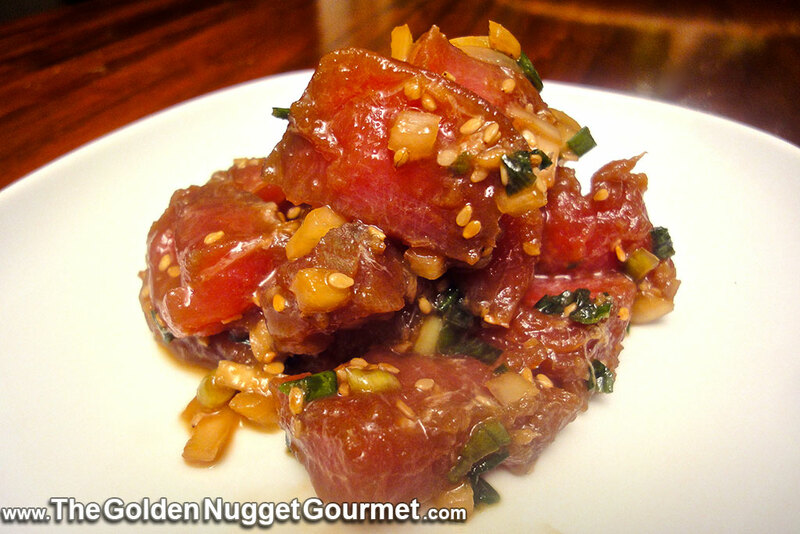 This Ahi Poke recipe exemplifies perfection in simplicity. Simple to make and simply melts in your mouth. Once you have made it you can experiment with other seasonings and fish if you like. And, for my fellow foodie adventurers, celebrity chef Sam Choy holds an annual Poke Contest in Keahou, HI. Check out his facebook page for details. FYI- Here is an interesting article on what is considered sushi grade, you may be surprised. I get my Ahi in the freezer section at our local HMart.